This program downloaded and stored and accumulated data such as temperature, relative humidity, CO2 concentration etc, and graphed the results. 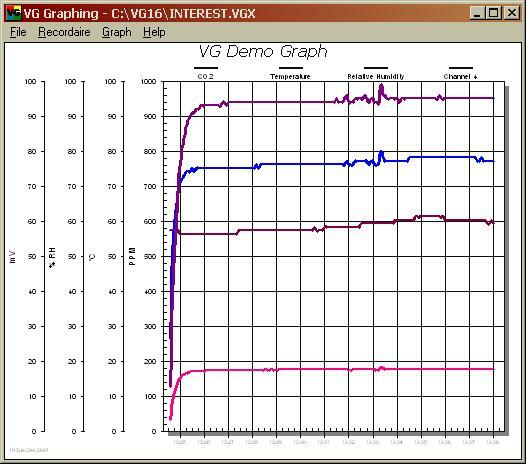 Also implemented real time graphing of data. This product is part of a sensor/telemetry package sold by Engelhard. Uses Graphing OCX to prepare and customise graphs. Invoke the program setup.exe in the directory. The total size of thie package is about 3MB so be sure that your computer and modem setup is fast enough to do this in a reasonable time.